Tiny kitchen in the small houses is always a problem, due to the small space; you always end up searching spaces to fit your stuff which makes the place uncluttered. Designing and managing all the elements in the tiny kitchen is really a hard task. But there are some ways you can smartly plan and set your kitchen to include the entire element without compromising on the space and making it too stuffy. The tiny kitchen can also be made interesting and exciting. Let’s see some of the functional kitchen ideas for the tiny kitchen. Most important things to keep in mind are how to maximize your storage space in the tiny kitchen to keep all your objects and adjust everything in it. Some smart tips can help you do this, let’s see how to utilize your tiny space smartly and make it more spacious. Make space inside under the sink: -You can utilize your space under the sink and make many cabinets in that space. Usually, you do find a lot of spaces under the sink as it is left empty. So make use of that space to make cabinets and fit in some potholders, gloves, and towels in it. This place can be best utilized in its best way and do not make the place messy. Stick-On Hooks & Rolling Shelves: – Stick on hooks and knobs are bestutilized to hold baskets and using small racks. Also, you can use for your stuff like cleaning pads, scrubs, and brushes. One of the other options is rolling shelves in the vacant spaces to max out the spaces. Utilize the space and use hooks on the cabinet doors which are used to hold cups, measuring cups and small baskets. Utilize your fridge to store small items: – Put your fridge into use by putting up magnets on it. Use magnets on the small racks and join them to your fridge to store small items on it. Magnets can be used to hold small items making your space uncluttered. 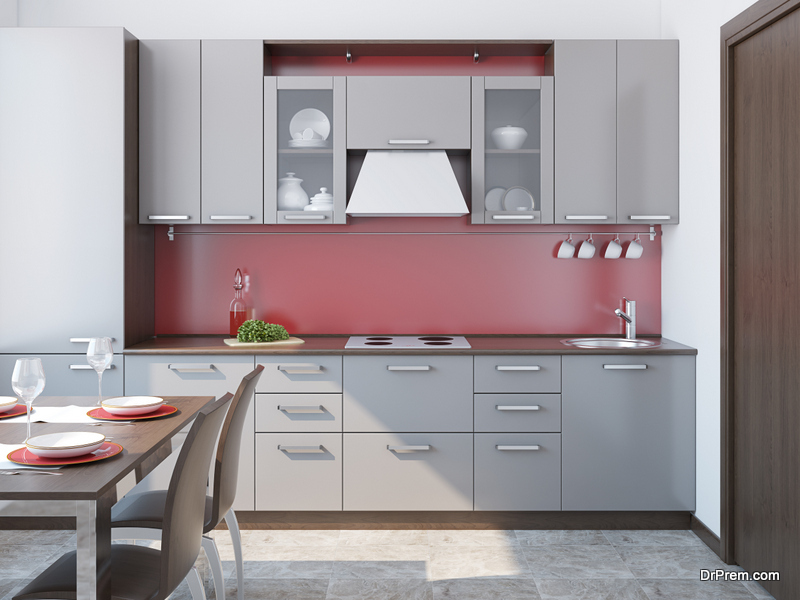 The compact kitchen can be made interesting and especially when you are planning to put up a dining space inside your kitchen. Yes, you can do so. 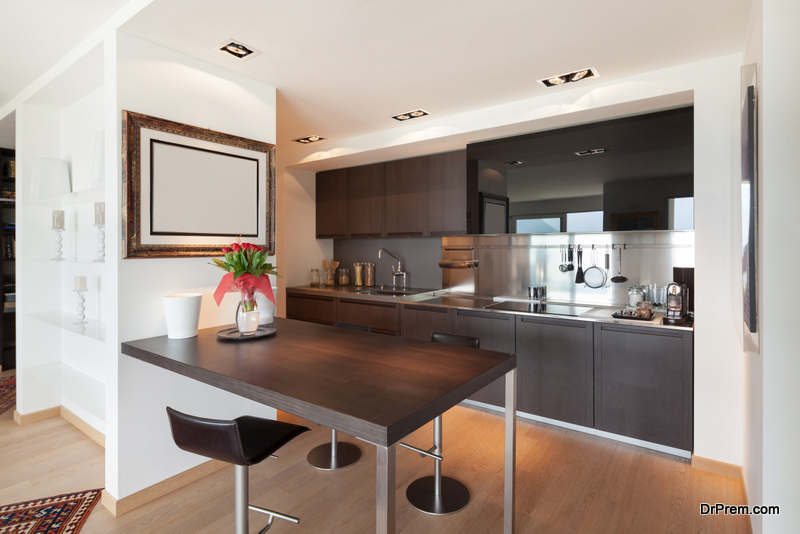 There are some few tips and tricks from which you can make your small dining area in the kitchen itself. For this, the best options will be using a folding table inside your tiny kitchen. This can be added in the counter to use it whenever requires. The folding table gives you the opportunity to utilize it when you require, it’s a type of extra space. And you can use it for doing your additional chores as well. Use it or else just fold it and keep it at the side. It gives you the liberty to move around easily while cooking your food and still has enough space to have your meal. These would give you plenty of storage space as well as a convertible table to share your food with your partner and loved ones. The color scheme on tiny home kitchen has to something which helps to enhance its appearance and make it look spacious and bigger. It should give a proper brightness to the space to improve the space. For the tiny kitchen colors like white, robin eggs blue dove or natural wood color is ideal. Ceilings in white paint and backsplashes reflecting light makes the space brighter and brings a cheerful environment in the space and also makes it looks bigger. 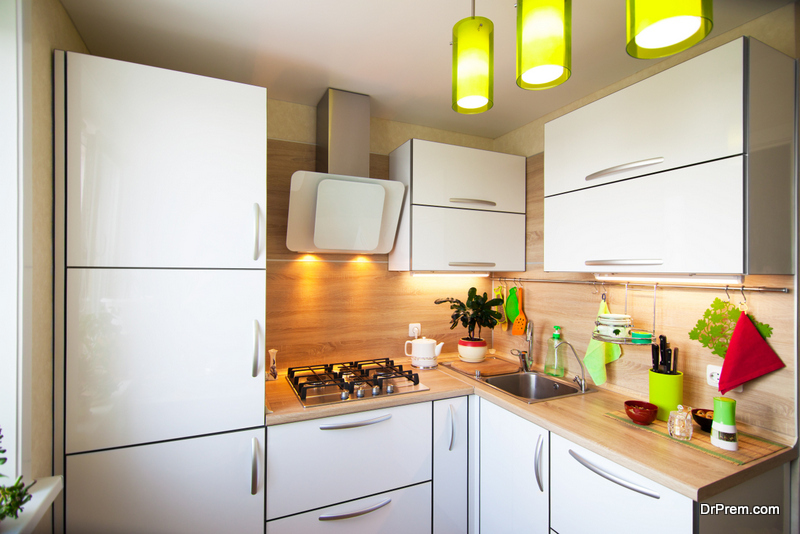 You can highlight the space by coloring the cabinets and doors with bright colors and yellow dishware also. Some pop of colors into your kitchen will make it lively. 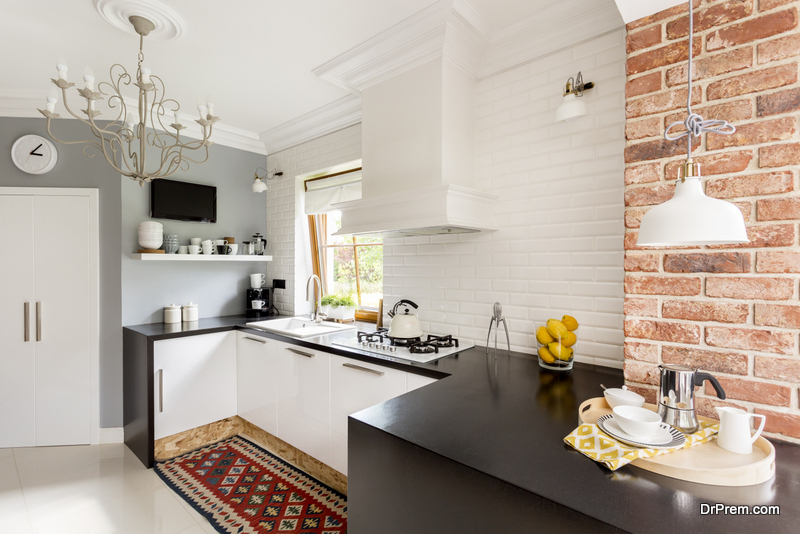 You can also use wood cabinets and some colorful tiles on the floor to make the kitchen more attractive and which also goes with the color scheme of your kitchen. The tiny kitchen doesn’t mean that you can’t decorate it or put up your favorite things. You can always go for wall hanging and paintings if you wish to. Wall hangings are always a good idea as it doesn’t take up your place and look beautiful also in your kitchen. For the freshness, have some flowers in the kitchen and place them on the shelf on the wall. You can install a small wooden or glass shelf on the walls for decorating purpose or if you want to put some stuff on it. One of the simple ideas is to use your glass cabinets to display your favorite piece. Can anyone share some cheap kitchen ideas? Do you recommend few best kitchens designs?